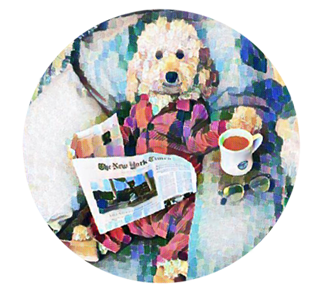 "In the AKC Gazette's continuing tradition of sharing notable works of canine art, enjoy this wonderful portrait of corded Poodle Ch. 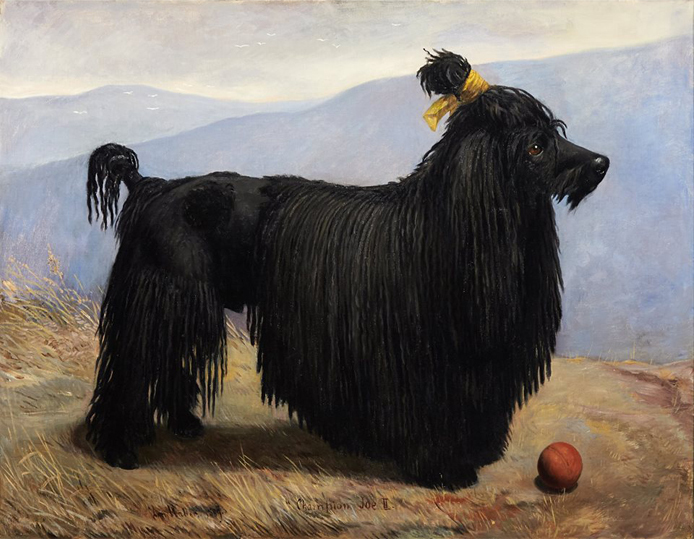 Joe II, painted by Lucy Waller circa 1889. 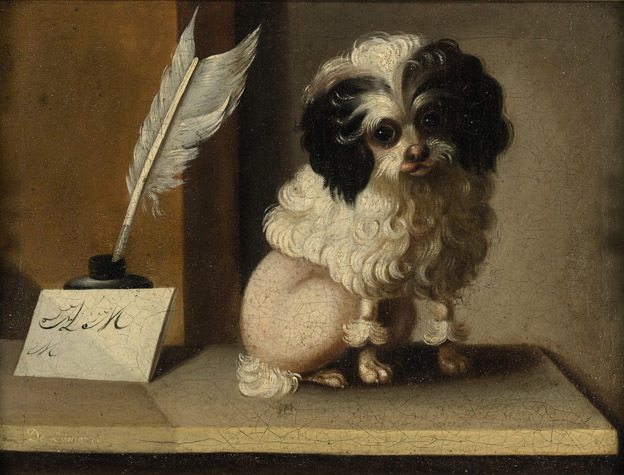 "Poodle on a Writing Desk" by Jacques-Barthélemy Delamarreby. 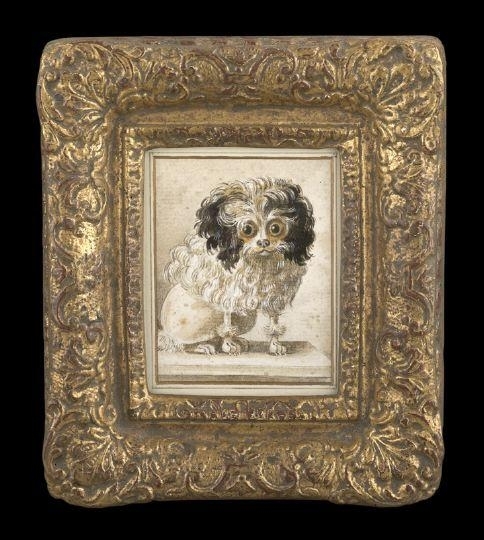 In similar style to the painting above, Jacques Barthelemy Delamarre completed another French Poodle Painting, in pen and ink and wash on paper, reverse signed "DeLamarre". 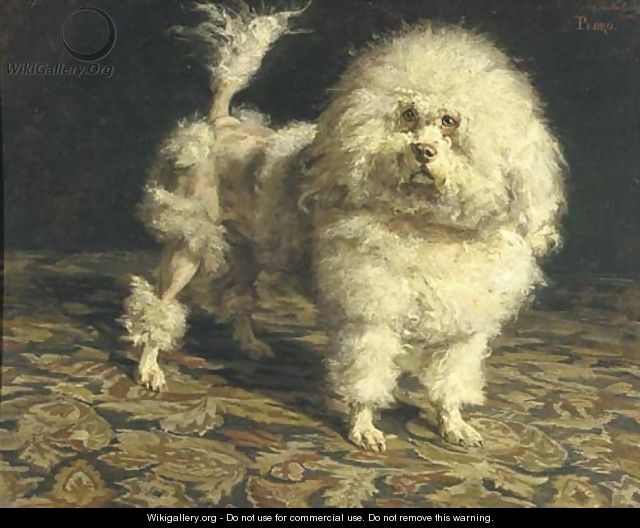 Charles van den Eycken (1859 – 1923), sometimes known as Duchêne, was a well-known Belgian painter specializing scenes of cats and dogs. 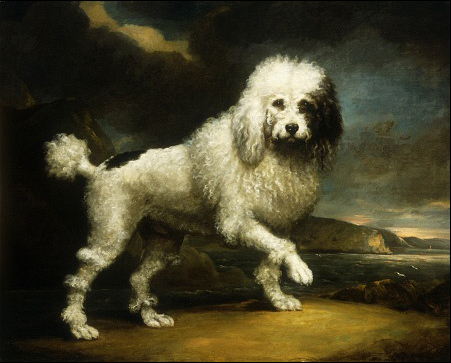 While this painting does not explicitly say the dog is a poodle, it distinctly looks like one. Adolf Ulrik Wertmüller (1751 - 1811) was a Swedish painter whose notable works include Danaë receiving Jupiter in a Shower of Gold. 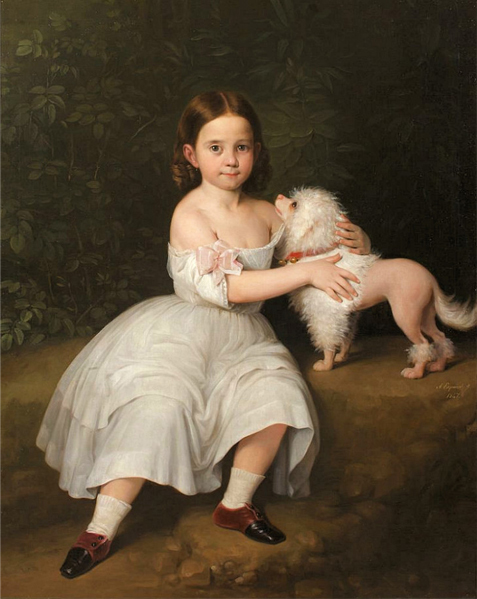 Wertmüller was born in Stockholm and studied art at home before moving to Paris in 1772 to study under his cousin. (link). Oil on canvas. 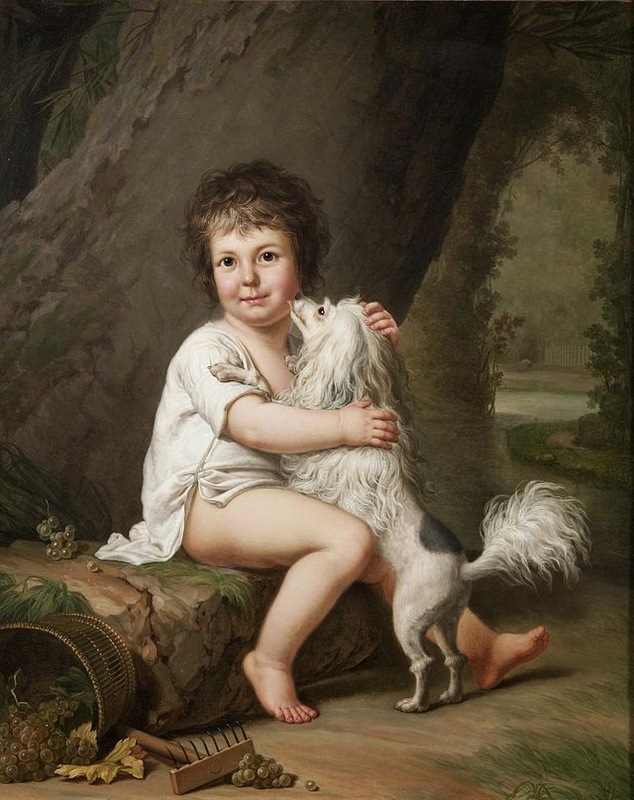 Dated 1806. » Historical documentation for top trigger?